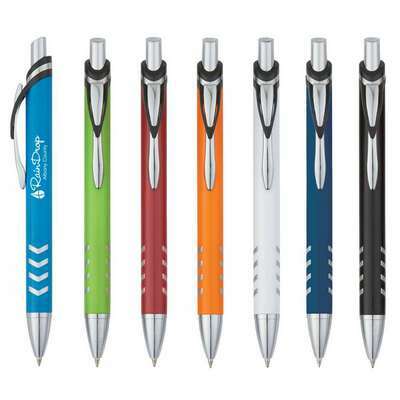 The pleasant Chevro Pen is a cool pen to carry around as it makes an understated fashion statement, with its light blue, red, orange, black, navy, lime green, or white color. It has a plunger action, with black ink and a medium point. 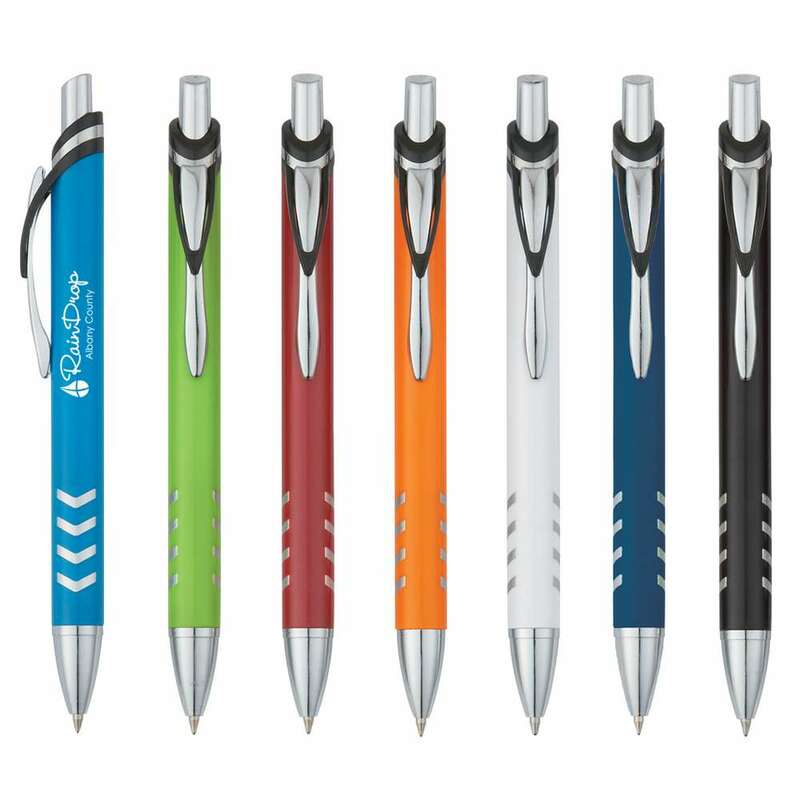 The pleasant Chevro Pen is a cool pen to carry around as it makes an understated fashion statement, with its light blue, red, orange, black, navy, lime green, or white color. It has a plunger action, with black ink and a medium point. Print the barrel, with your company’s logo, using standard silk screen colors. Use it as a giveaway, to promote your brand: at trade shows, seminars, schools, workshops, and colleges. Opt for multi- color printing, of your company’s brand name, with an additional cost. 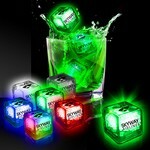 Our Imprinted Liquid Activated Light Up Ice Cubes feature variety of color options and allow Brand Recognition with your Corporate Logo.